This article is part of a series of interviews with companies supporting the Rock the Green sustainability festival. Follow along here. Welcome to our series of interviews with companies and organizations that are supporting the upcoming Rock the Green sustainability festival in Milwaukee on Sept. 17. We’re asking companies to talk about their own sustainability stories, as well as to explain why they’re supporting the event — one of the most sustainable festivals around. 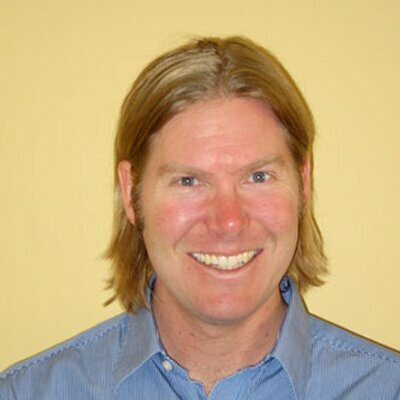 This week we chatted with Michael Bognar, an account manager at Groot Industries, a Chicago based waste management company who has partnered with Rock the Green. TriplePundit: What's your company's definition of sustainability, and why is it important to you? Michael Bognar: Groot Industries defines sustainability as meeting the needs of the communities we service while strategically planning how best to serve the communities of the future. As a locally operated 102 year old family owned business we have developed intimate relationships with the citizens of our communities over generations, servicing businesses, homes, and schools. Forging strong relationships within our communities helps Groot Industries remain a leader in reducing, reusing, and recycling the materials communities of the future will produce. By remaining ahead of the curve of ever-changing materials in the waste stream we are better able to service the places we live, work, and play, making sustainability important to everyone at Groot Industries. 3p: What are the most important sustainability issues your company deals with? MB: Being a leader in the waste disposal industry, Groot Industries works to educate our clientele on the benefits of recycling services, thus keeping recyclables out of landfills where the materials will remain for many years. Vice versa, we also work to keep solid waste out of our communities’ recyclable streams, ensuring that the recyclables are easily handled at our separation facilities and able to be recovered and reused. We also work as consultants to our communities to educate citizens on what things can and can’t be thrown out. Keeping materials like electronics, appliances, tires, batteries, volatile liquids and hazardous materials out of landfills ensures environmental safety and also allows us to reuse or dispose of them in an environmentally conscious way. 3p: Sustainable thinking is no longer just "nice to have", it's increasingly seen as a competitive advantage. Tell us how sustainable thinking is helping move your company forward? MB: We have been leaders in sustainable thinking for four generations! 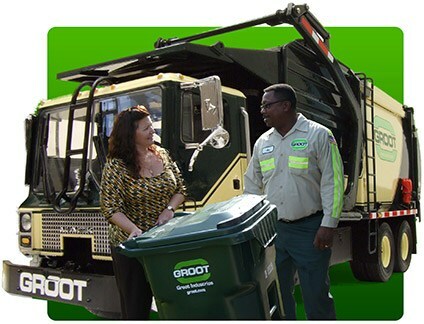 Just within this generation, Groot Industries spearheaded the first curbside recycling programs in the communities we service, expanding them to our entire residential client base in 1986. In 1989, we built the first Material Recovery Facility in the Midwest to separate and sort recyclables, saving enormous amounts of time and fuel in recyclable collection. A decade later we innovated, designing and building the first Single Stream Material Recovery Facility in the Midwest. In 2005 we began decreasing our carbon footprint in the way we power our vehicles and by 2007 we became the first waste and recycling company in the Midwest to use BIO-diesel fuel in all of our residential, recycling, and commercial/industrial waste collection vehicles. Since then we have become the first waste disposal company in the Midwest to begin converting our fleet over to Compressed Natural Gas, 80% cleaner than diesel fuel and 10 times quieter when idling. Between the facilities we operate and the vehicles we service communities with Groot Industries has been driving sustainable thinking, moving our company forward for 102 years. 3p: Rock the Green, the concert, is all about going for zero waste. How has your company reduced waste across your operations? Has it paid off for you financially? MB: For us it is more about managing the waste and recycling streams we collect from our clientele, than specifically reducing our own waste – although we have made a massive effort to reduce emissions in the fuels we use while servicing our communities. Our goal is to educate our growing customer base as to what can and cannot be reduced, reused, or recycled. We do not own or operate a landfill because it conflicts with our vision of minimizing the waste stream. Our aim, like yours, is to recycle as much material as possible out of the many thousands of tons that we handle every day. 3p: Surveys show that employees are happier and more productive when they're engaged with a company's sustainability strategies. How do you engage your staff to implement your sustainability plans? MB: Our business is sustainability. Every employee knows that before they are brought on to the team and we work to coach them on the practices that makes Groot Industries a leader in sustainably handling our waste stream. It is our culture and our mission to educate our customers on more sustainable ways to treat used products and disposable items – and it starts with ourselves. Every decision we make takes this into account from the CEO to our customer service representatives to our drivers. Educating our communities is the ultimate way to keep our employees engaged in sustainability. 3p: In a nutshell, how will you be "rocking the green" in the coming 5 years? MB: We will continue to build on and expand our “Green” infrastructure which can then help our company and our clientele continue to reduce and recycle material that would have otherwise been heading to a landfill. Among the things we plan on accomplishing within the next 5 years are putting more vehicles on the street that are powered by cleaner fuels, building new recycling plants so we can process more materials (including construction materials), and adding additional capacity to our single stream material recovery facilities. Our business, like yours, can be defined as “Rocking the Green” and we’re excited to continue along that journey with you.